A project to update certain CCTV cameras in Chichester is being recommended by leading councillors. Chichester District Council's Cabinet has agreed to recommend that the council invest £165,000 in upgrading a number of original city centre cameras, including reinstating two cameras in Avenue de Chartres. The upgrade will significantly improve the quality of surveillance footage captured in order to protect residents, visitors and businesses. At its meeting on Tuesday 5 February, Cabinet agreed that the best approach would be to replace all the nominated cameras together as part of one project. This would be more economical and for consistency, to ensure that all the cameras are of the same technical specification. The project will involve replacing 11 cameras plus re-installing a camera at the top of the multi storey car park and another at the Westgate Roundabout. The cameras involved have been chosen because they are old and are located on-street so critical for public safety and security. "Updating the CCTV system in Chichester city is long overdue so I am extremely pleased the project will be starting this year," explains Councillor Eileen Lintill, Cabinet Member for Community Services at Chichester District Council. "We first introduced CCTV in 1996 and it has made a real difference to community safety. Since then the technology has moved swiftly, so we need to ensure that the system is up-to-date and fit for the future, so that we can continue to keep people in the city safe. "Our Avenue de Chartres car park already has the Safer Parking Award but the extra camera there will help enhance and improve safety even further. The award is given by the British Parking Association (BPA) following inspections from the BPA and police. This ensures that the car park is a safe environment and that active measures are being taken to ensure this continues. Our Civil Enforcement Officers (CEOs) also regularly patrol this car park to provide assistance to members of the public. "The CCTV team do an excellent job monitoring the footage and play a key role in helping our local police resolve and prevent crime. 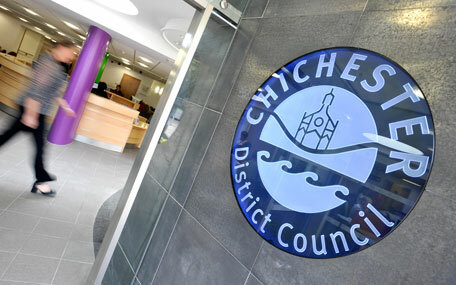 In addition, chiBAC (Chichester Businesses Against Crime) make great use of the system, and it is hoped that the upgrade will increase the number of incidents which are resolved." Full Council will make the final decision on whether to release the money at their meeting on 22 February. If approved, work on replacing the cameras will start this April and it is hoped the project will be completed by the end of March 2020.